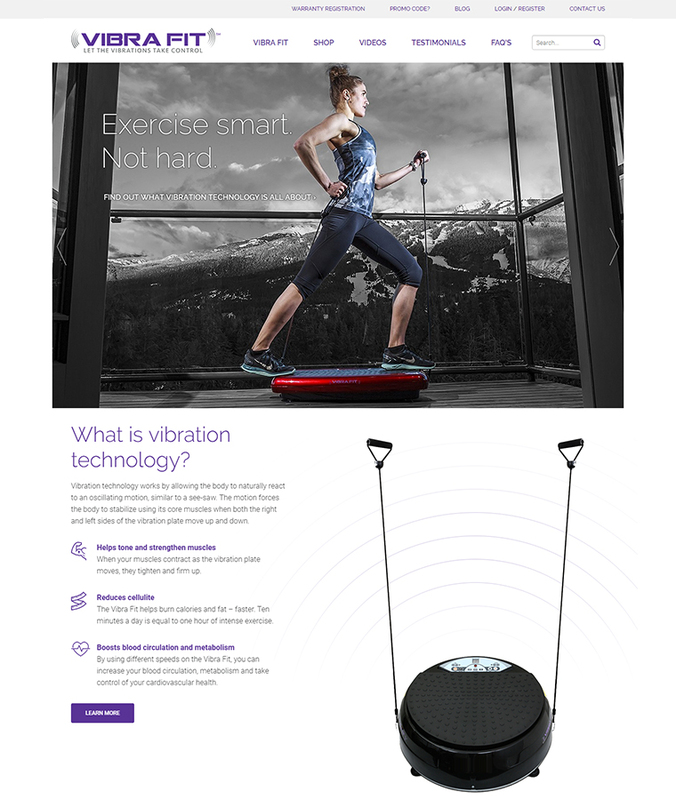 Vibra Fit is innovative personal exercise technology that is being marketed in Canada, the UK and the UAE. This effective e-commerce website design makes full use of large full screen images and video clips that demonstrate the exercise equipment in action with Canadian Olympian, Julia Murray. This website uses a minimalist design layout which makes for easy browsing and helps focus attention on product information. In the highly competitive field of selling exercise equipment websites need to really stand out from the crowd in order to lure visitors in (and of course hopefully get their credit cards out!). With many ecommerce website designs you’ll notice that white is the chosen backdrop colour. There is a simple tactic for this. White provides the perfect backdrop to showcase products and also helps visitors concentrate their attention. Using lots of ‘white space’ in web design also provides for a ‘roomy’ browsing experience, where visitors feel in control.